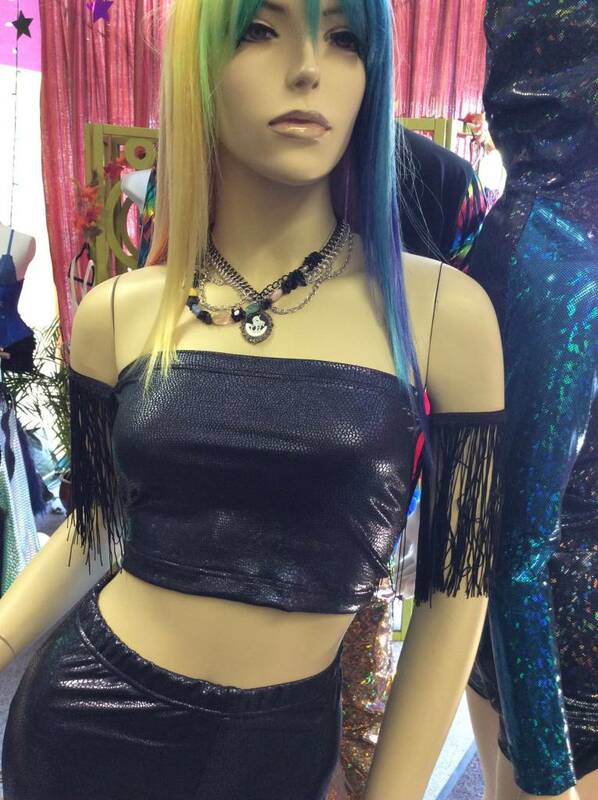 Cropped bandeau top in metallic Lycra fabric with arm band style fringe sleeves. Slim fitting. Hand wash delicately. Lay flat to dry.